We feel so burdened with the so many human tragedies that have been shared with us, but this is what keeps us going with our campaign, for Breast Screening from 40 years. photo - Marie in the early stages of her illness - a bit puffed up with medication. Marie had mentioned to her G.P. that she was feeling very tired and that she had a discharge from her breast. She was told by her G.P., her symptoms were menopausal and since there was no history of breast cancer in the family, she accepted her G.P. 's diagnosis and just got on with her busy life - then sadly by the time she felt the lump in her breast, it was too late for surgery, she had 2 years of treatment (chemo etc) but the cancer had spread. 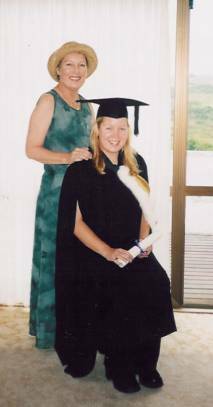 Marie was a much loved mother, daughter, sister, partner, niece and cousin. She was a vital, vibrant person whose mere presence brought sunshine and joy into the lives of others. A free and beautiful spirit who touched many with her joy and laughter. Marie's presence was always uplifting to others. She used this gift at a time when she herself was so ill. She comforted others and knew she could relate to the older people she met who were also nearing the end of their journey, spending time listening, talking to and supporting them. 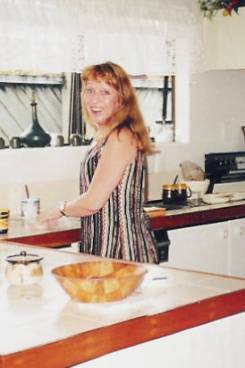 Marie passed away on the 15th March 2002 - had she had a mammogram at the age of 40 with ultrasound backup if necessary, her prognosis could have been quite different with earlier detection, as everyone agrees, early detection saves lives.